Francis Edward Ifield was born in Coventry, UK in 1937. His Australian parents moved to back to Dural near Sydney, just after the end the War. Frank worked on a farm and would listen to Hillbilly music and learned how to yodel in imitation of country stars like, Hank Snow. His singing talent was recognised and he started recording aged 13 years. His first song was "Did You See My Daddy Over There? ", and by the age of 19 Frank was the number one recording star in Australia and New Zealand and had 44 records issued in Australia. The young singer became a regular on the popular radio program Bonnington's Bunkhouse. He appeared on other radio shows as well, eventually touring with the Ted Quigg Show for many years. Frank signed with EMI Australia in 1953 and released two successful singles including There's a Love knot in My Lariat. Soon he was hosting his weekly television show Campfire Favourites. By 1959, he was appearing on all three of the Sydney TV channels. In 1959 he went back to the UK to try his luck and was signed by EMI Records on Columbia shortly thereafter. His first record was "Lucky Devil" (1960) but neither it nor the next six records made any impact. In 1962 "I Remember You" clicked and became #1 hit. It was the first record to sell one million copies in the UK alone and occupied the #1 spot for over two months. It also topped the US country charts (and was top 5 in the pop listings). 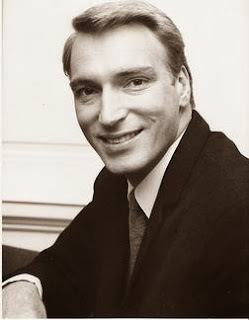 Frank Ifield headlined a UK supported by The Beatles* and later had the great honour of singing at the Grand Ole Opry in 1966 and was introduced by Hank Snow. Frank returned many times to Nashville to perform and record. Frank’s next single was a cover version of the old Hank Williams hit “Lovesick Blues” and was released with a double A side, "She Taught Me How To Yodel". Yodelling was something Frank excelled at and the final verse of She taught me to yodel, was entirely yodelling. His next hit, "Wayward Wind", reached number one in the UK . Frank Ifield was the second artist to score a hat-trick of (consecutive) #1 singles in the UK Singles Chart, the only other to do so at that point was Elvis Presley. His other recordings include "Nobody's Darling but Mine", "Confessin'", "Mule Train" and "Don't Blame Me". Throughout the 1970's and 80's, Frank continued to perform in cabaret and travelled extensively. * The rarest Beatle album was called “Jolly What! 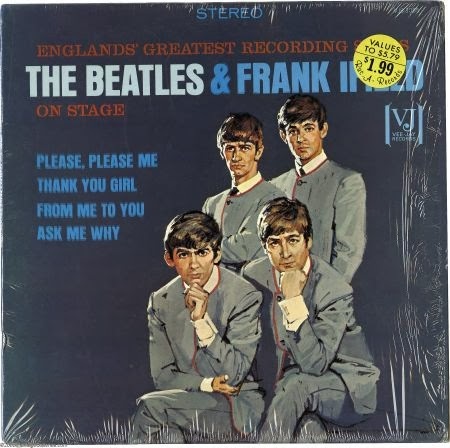 England‘s Greatest Recording Stars: The Beatles and Frank Ifield on Stage ” (Vee-Jay Records) and consisted of four studio recordings of the Beatles plus eight studio recordings of Frank Ifield. It was released in 1964 because Vee-Jay Records had some rights to the Beatles earlier material and wanted to cash on their tremendous popularity. Frank Ifield was already an established artist. 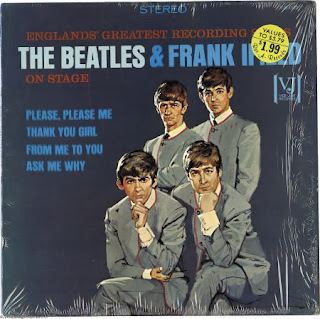 There were less than 100 copies pressed and the album is a collectors piece, and contains Please please me, Thank you girl, From me to you, and Ask me why by the Beatles ; and I remember you, Any time, Lovesick blues, I am smiling now, The Wayward Wind, Nobody’s darling, Unchained Melody and I listen to my heart, by Frank Ifield.